The one-day event will involve nearly 60 employers and aims to promote safety and health on the job. 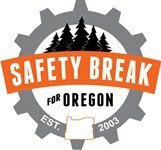 Employers large and small – a restaurant/brewery, the electric utility serving most of Portland, Oregon Parks and Recreation's Tryon Creek State Natural Area, and others – are pausing their operations today so their employees can participate in Oregon OSHA's 2014 Safety Break for Oregon. This is the 12th year of the one-day break, with participating employers determining their own health and safety activities for the day (although ideas and tools are offered on the event’s website). The website lists 58 employers that are participating this year. They include Pence Northwest Construction LLC, ASSE's Columbia-Willamette Chapter, Portland General Electric, Portland Public Schools, NuStar Energy L.P., and the Oregon City Public Works Department. Signing up made them eligible to win one of three $100 gift certificates to hold a pizza party for their employees, with the prizes furnished by the Oregon SHARP Alliance. Oregon OSHA created Safety Break for Oregon in 2003 after an increase in workplace deaths in the state had occurred during 2002. "Oregon companies enjoyed a steady decrease in employee deaths for more than a decade, hitting a record low of 34 in 2001 before jumping to 77 in 2002. Oregon OSHA attributes the 2002 increase to the state's lagging economy, which resulted in some companies laying off employees in safety-related positions. But members of the business community, including construction companies, were concerned there were other factors involved," according to a history of the event that's available on the site. "At the request of business leaders, Oregon OSHA agreed to help organize and promote a day dedicated to safety awareness, urging businesses and government agencies to spend time involving employees in a conversation about safety."